OPIBRA is the company that manufactures ERVAMATIN. 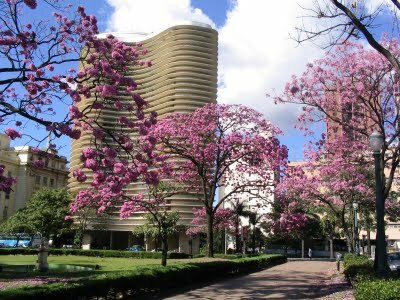 We are located in Belo Horizonte, capital of the State of Minas Gerais, one of the biggest economies in Brazil. Our strongly based enterprise is backed by extensive experience in the market, and a respected name for the quality of our products. We have been on the Brazilian market for over 25 years and in the international scenario for more than 15. Nowadays, we distribute our products to over 50 countries worldwide. We are proud of our products and of the results they bring to our clients. We have an enourmous fanbase all over the world of satisfied costumers (meet some of them in the testemonials page). That is possible only because of our commitment to top quality. OPIBRA’s products follow the European Union standard regulations and also attend the US Customs regulations. The ERVAMATIN™ HAIR LOTION provides effective and fast therapy for hair loss and its treatment ensures excellent therapeutic results. Recommended as a treatment for hair loss, hair regeneration, dandruff, alopecia, baldness, fragile and dry hair. Ervamatin Body Oil protects the skin against dehydration through its unique formula made by natural extracts from the Amazon. It caresses the skin with an exclusive moisturizing touch and leaves the skin with a fresh delicate scent. Ervamatin Body Soap is a liquid soap that cleanses and purifies the body, providing a healthier looking skin. The natural formula can be used daily on all skin types. The ERVAMATIN™ HAIR LOTION provides effective and fast therapy for hair loss and its treatment ensures excellent therapeutic results.Recommended as a treatment for hair loss,hair regeneration,dandruff,alopecia,baldness, fragile and dry hair.